History has shown us that one person can turn the tide of a battle. There is no better example of this than Mitchell Paige. Paige was a US marine fighting in WWII who single-handedly held the American line at Guadalcanal in 1942. He held the line with machine gun fire before leading a bayonet charge against 2,500 enemy soldiers. 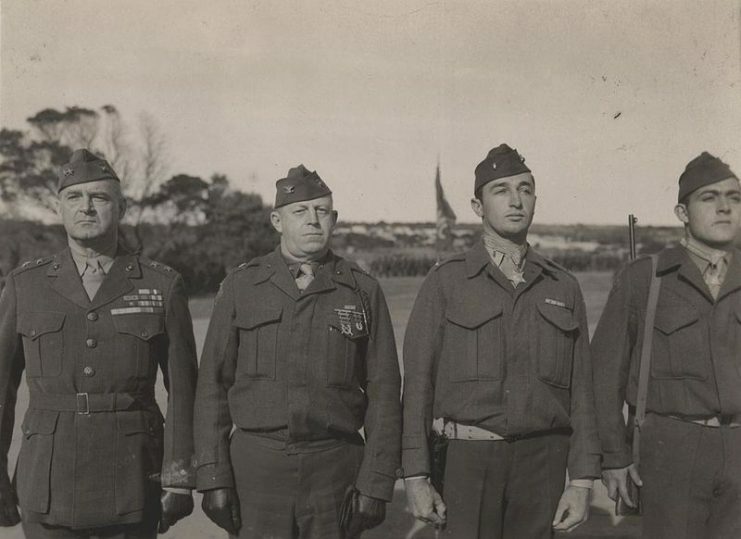 Mitchell Paige was the son of Serbian immigrants and enlisted with the Marine Corps after high school. When he graduated from the recruit training, he completed a brief tour with the USS Wyoming before being sent to the Philippines. After 18 months in Cavite, he was transferred to Tientsin in China where he was placed in the machine gun company. During his time in China, Paige was part of a boxing match against other Allied forces and a train guard. When the Hai Ho River burst its banks in 1939, Paige was one of the marines left to protect American property. By 1940, he was told to report for duty at the Brooklyn Navy Yard and would later be sent to the Philadelphia Navy Yard. 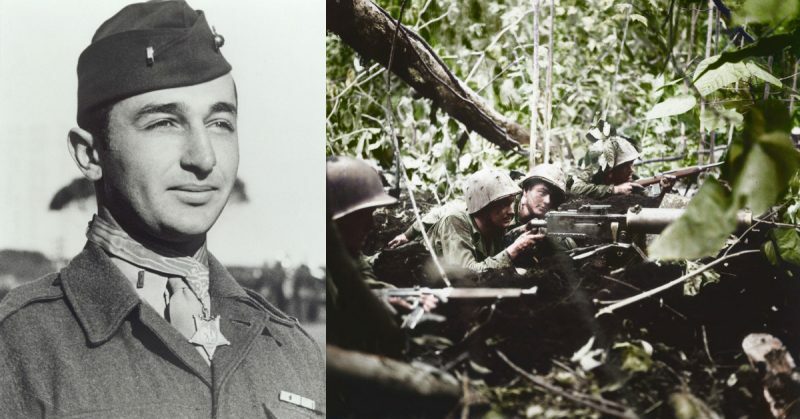 Mitchell Paige, USMC, Medal of Honor recipient for action during WWII at the Battle of Guadalcanal. After the attack on Pearl Harbor, Paige was sent overseas with the 7th Marines. In September 1942, the unit landed at Guadalcanal. By this time, Paige had been a machine-gunner for six years and was the platoon leader. 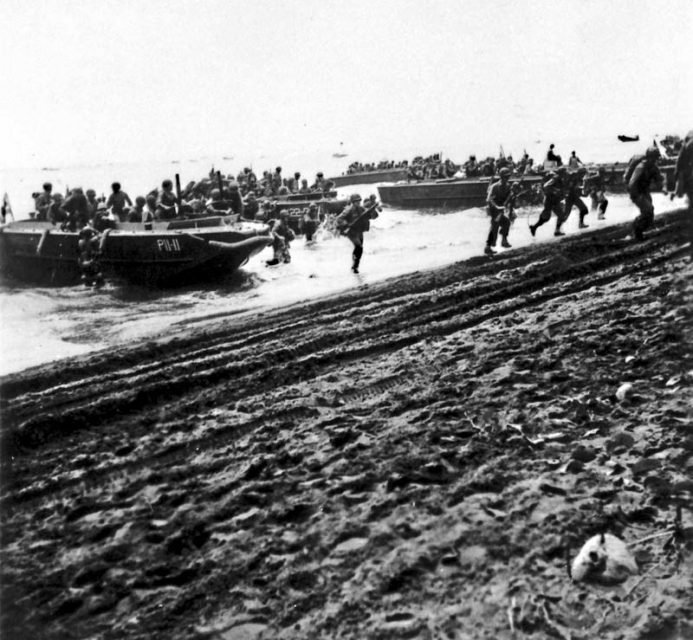 U.S. Marines debark from LCP(L)s onto Guadalcanal on August 7, 1942. 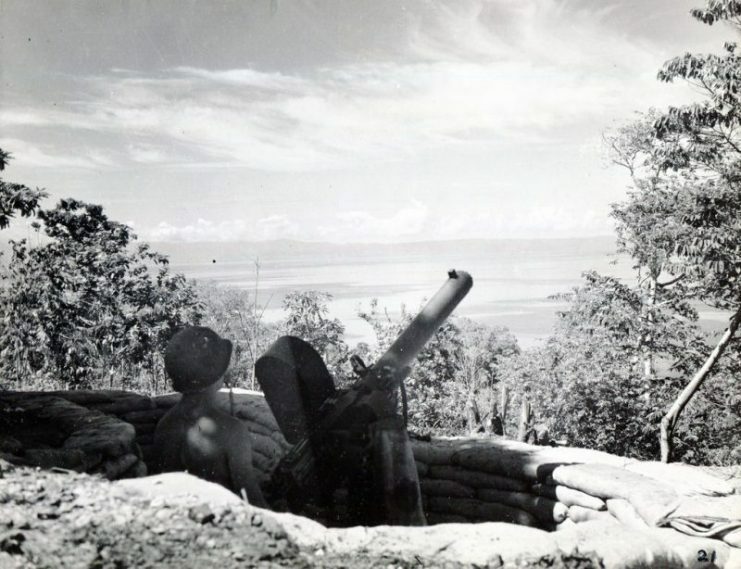 Guadalcanal was a contentious location. The American forces were intent on capturing the airfield while the Japanese were determined not to give up control. If the Americans controlled the airfield, it would allow them to send bombers to Tokyo, something that the Japanese could not allow. By the time Paige arrived, the Marines had a foothold on the island but were facing relentless attacks. The Japanese Imperial Army was bombarding the American line with aircraft fire, warships, and full troop transports. The situation had reached a point where the American high command wanted their forces to surrender the island. If that was what they wanted, they should not have sent in more Marines or Mitchell Paige. 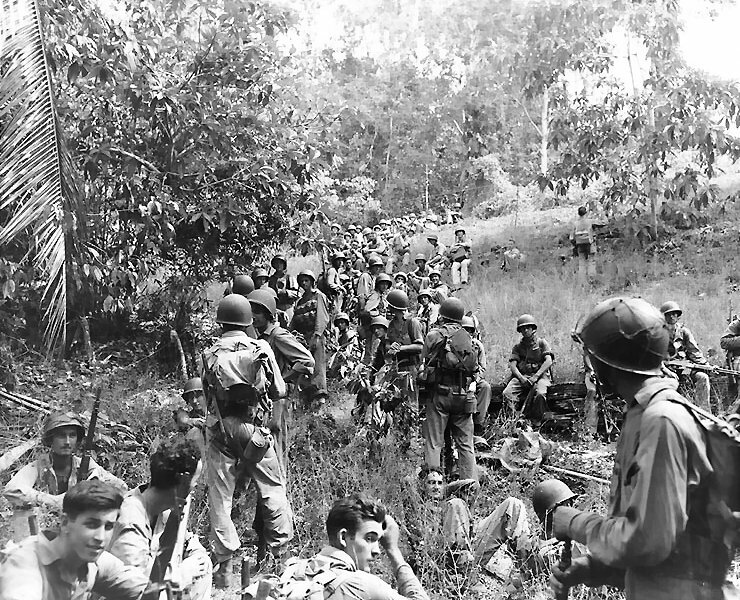 United States Marines rest in the field during the Guadalcanal campaign. On the evening of October 25, Paige was in his foxhole when he noticed a massive line of assembly lights in the forest. The enemy line was outside of grenade range, and the American unit could not see well enough to open fire. All they could do was wait while listening to the rattling of enemy gear. At 2 am the next morning, Paige heard the Japanese talking and knew they were only a few hundred yards from the machine gun line. He crawled from one gun to another and alerted the rest of the unit. He heard the scrape of gear on the deck and gave the word for the unit to open fire. 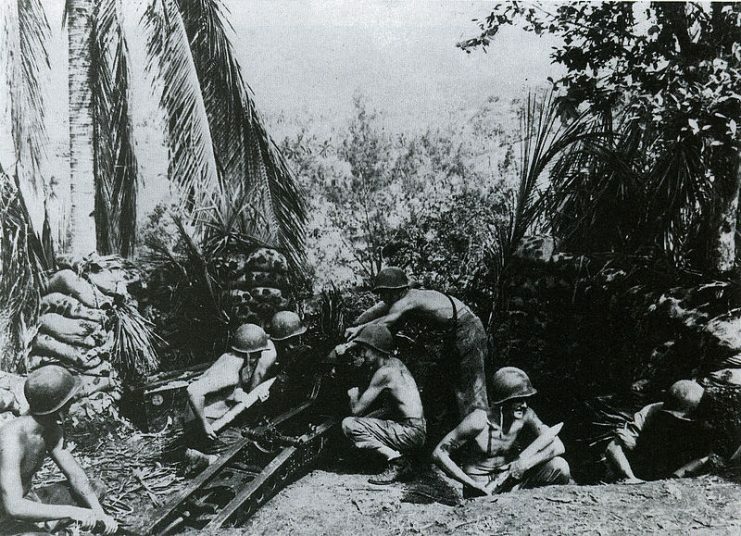 A U.S. 11th Marines 75mm pack howitzer and crew on Guadalcanal in September or October 1942. The lean condition of the crewmembers indicates that they haven’t been getting enough nutrition during this period. 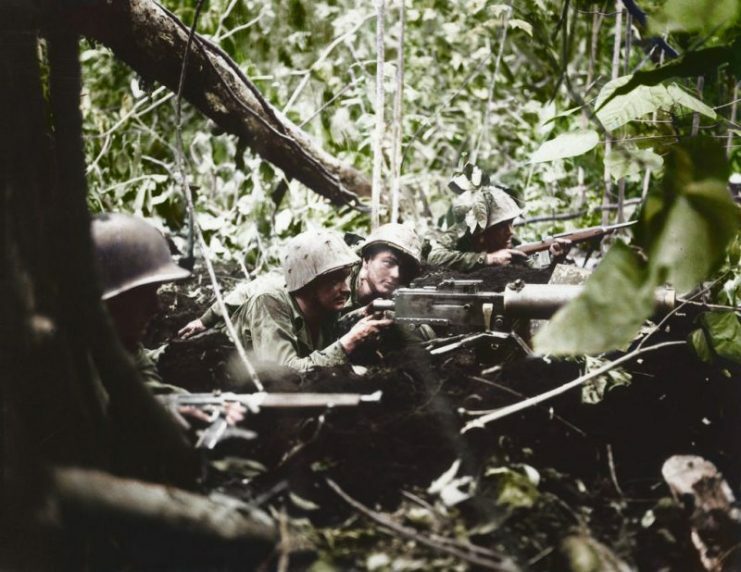 Soon the unit was forced to fight in hand-to-hand combat as their machine guns overheated and were put out of action. After the first wave of Japanese fighters was repulsed and while they waited for the next, Paige moved around clearing and fixing guns. The left flank of the line was swept by the Japanese, and Fox Company was driven from their position. George Company was unable to provide covering fire without hitting American soldiers. In the dark and after hours of fighting, Paige was manning the machine gun line alone. The rest of his company had been killed and he was surrounded by an enemy regiment. His gun was shot out from under him and he realized that there were no others in the line. Hurrying back to George Company, Paige commandeered one of their machine guns. He ordered some of the company riflemen to fix their bayonets and follow him. With the assistance of two other Marines, Paige and the riflemen charged back into battle. As dawn crept closer, Paige was able to see another machine gun and he ran toward it. As he crossed to the machine gun, the Japanese soldiers continued to fire at him. Three other Marines attempted to bring belts of ammunition to him. Although they are all wounded, they were nevertheless successful in their tasks, and the battle continued. During this final stand, Paige swung his gun and fired at a group of Imperial soldiers who had overrun his position. Shooting into their backs, he was able to stop them before they could crest the hill and make their way to the battalion command post. When the next wave of enemy fighters arrived, Paige called for bayonets to be fixed and for the remaining men to follow him. Paige picked up his machine gun and led the charge down the hill. A Japanese officer pulled out his revolver and emptied it at him, but every shot missed. The officer drew his samurai sword, but Paige brought him down in a burst of gunfire. When the charge reached the bottom of the hill, there was nothing left for them to shoot. Ten hours after the initial charge, Mitchell Paige was still holding the line. 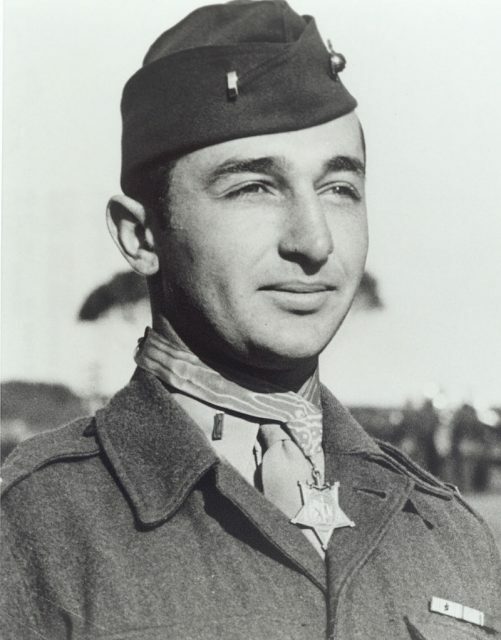 SGT MITCHELL PAIGE receives the Medal of Honor from Gen Vandegrift as a reward for outstanding heroism while manning a machine gun of the 2nd Battalion. Following Guadalcanal, Paige was sent to Australia where he finished the war. He retired a Colonel in 1959 and was the model for the G.I. Joe action figure. He continued to be involved in veterans’ causes and worked to identify Medal of Honor imposters.